Cyndi has worked at Baywest Health & Rehab, LLC since 2009. She attended Missouri College and Strayer University and served as a trained Licensed Massage Therapist for nearly 20 years. In 2010 she transitioned to the role of office manager. 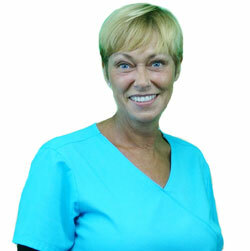 Cyndi loves working with our patients and private clients as well as her co-workers. In her spare time, Cyndi enjoys working in her garden and having fun with her family.